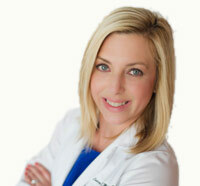 Lauren currently practices in Gadsden, Alabama alongside a board-certified dermatologist. Lauren treats a vast array of skin conditions as well as performing in-office procedures. She has spent a great deal of time carving out a niche in her career and has a deep passion for conditions such as psoriasis and atopic dermatitis. She is also passionate about skin cancer prevention and teaching patients about proper skin care to help them achieve the healthiest version of themselves. Lauren is a speaker for companies in the pharmaceutical industry and enjoys sharing her knowledge with colleagues and other medical providers. Lauren is honored to be a founding member of the Alabama Society of Dermatology Professionals and serves as the Pharmaceutical Liaison on the board of directors. Lauren is a member of several other professional organizations, including American Academy of Physician Assistants and the Society of Dermatology Physician Assistants.